I specialize in handmade jewelry, purses, glasswork and lampwork beads. I teach beadweaving and lampworking techniques, and many of my tutorials are available for purchase online. The last 6 years has been a whirlwind ride! In 2015 I taught for Bead & Button, at the International Society for Glass Beadmakers Gathering, and at Bead Societies and shops around the country. 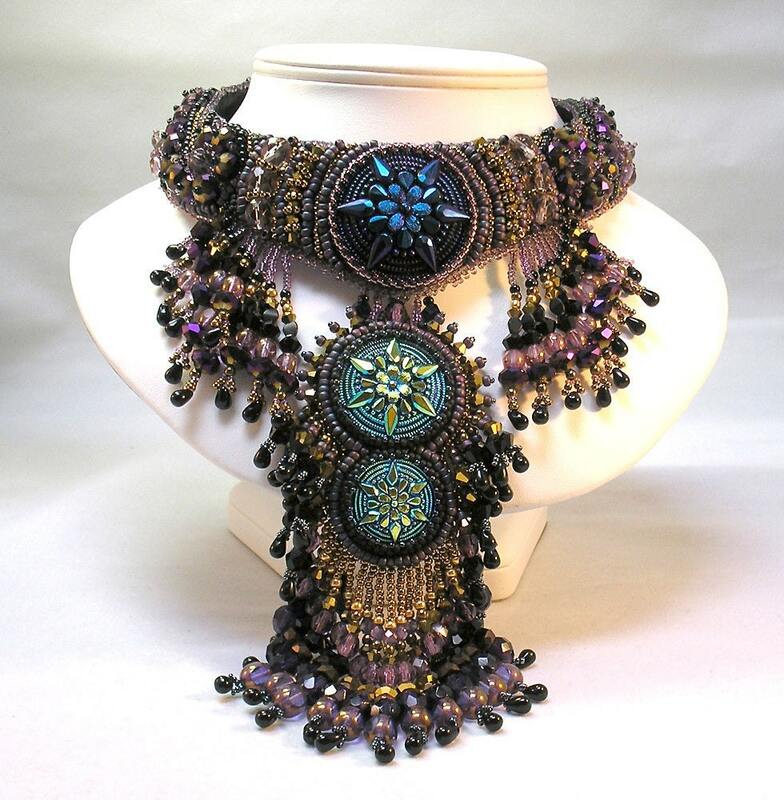 In 2014 I taught at the Best Bead Show in Tucson and at Bead & Button. In 2013 I taught at Bead & Button and at the International Society for Glass Beadmakers Gathering. I have been a Starman Beads Trendsetter since 2014. Currently, I am scheduling classes for 2019. You can see my current list of available classes here. Please email me to schedule a class in your area! 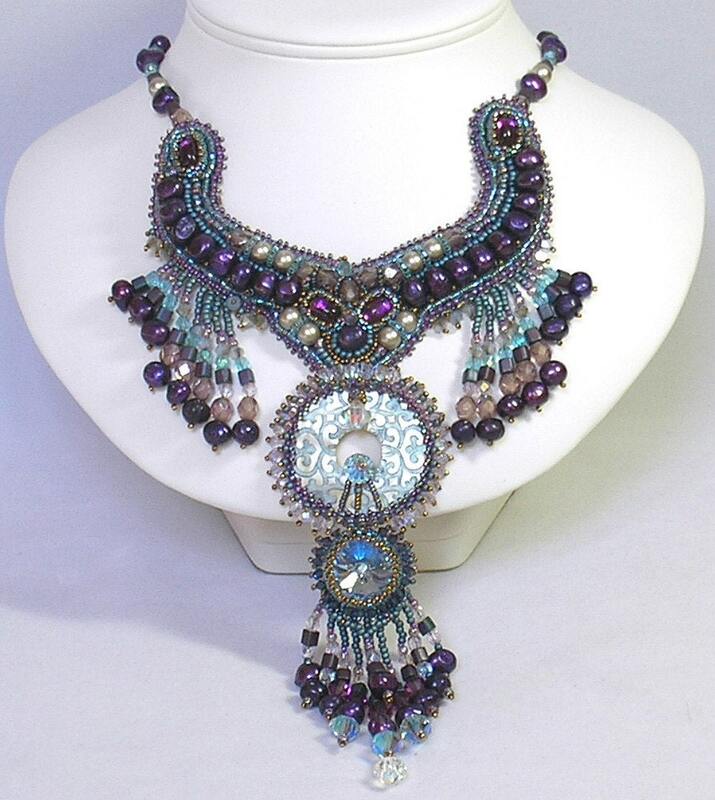 2015, 2013, 2012- Competed in the Battle of The Beadsmiths international beading contest. June 2015, 2014 & 2013 – Toho Bead Challenge participant. You can read details of the challenge and see the finished pieces here. December 2013 & 2014 – Orchid Bead photo published in The Flow Lampworking Magazine, Women in Glass 2013 edition. Octopus Pendant published in 10th annual The Flow Lampworking Magazine, Women in Glass 2014 edition. 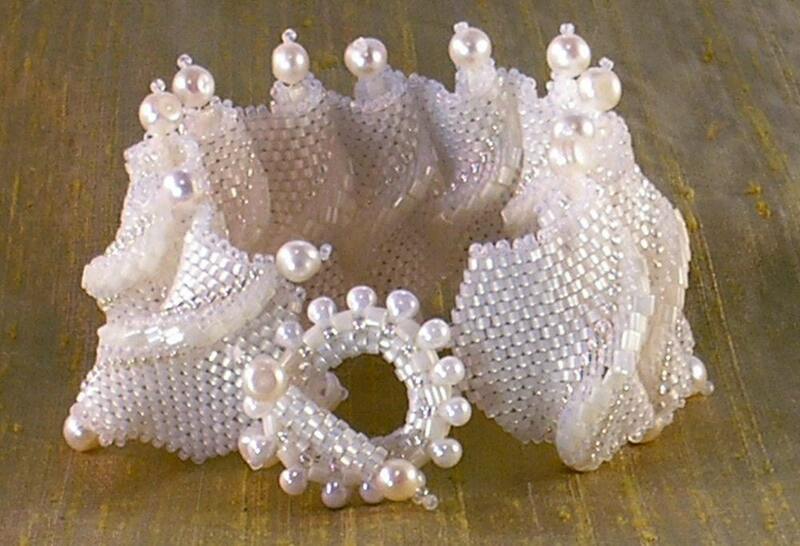 2013-Present – Tutorials and images published in online lampworking magazine Soda Lime Times. March 2013 – Googleybird Tutorial Published in The Flow Lampworking Magazine. 2012 – First Place Winner in the Advanced Sculptural Division in the Treasures of Toho Contest for my Gaea’s Glass Slipper (photo right). You can see the shoe in the December 2012 issue of Bead & Button Magazine. 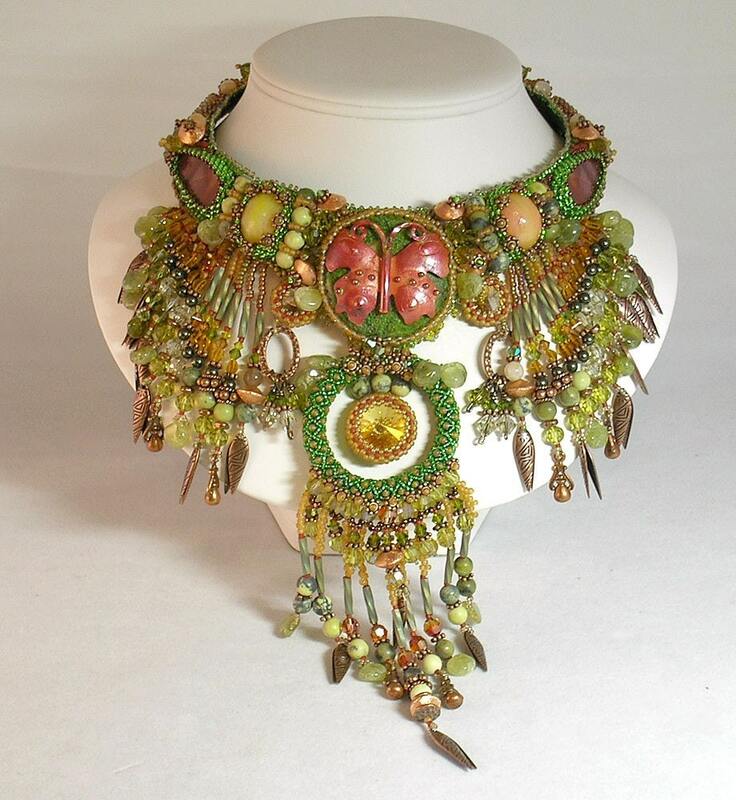 2011 – Neptune’s Tail Necklace won third place in the Bead and Jewelry category at the Vegas Craft Expo. 2010 – Marsha Hines and I showed a collaborative piece in the ISGB Convergence 2 show. My work has been shown at the Harwood Museum of Art gift shop and also at the Fetchin House Taos Museum of Art Gift Shop.